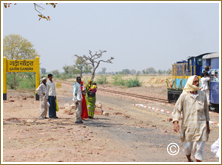 Dholpur (also DhaulpurRajasthani: धौलपुर) is a city in eastern-most parts of the Rajasthan state of India. It is the administrative headquarters of Dholpur District and was formerly seat of the Dholpur princely state, before Independence. 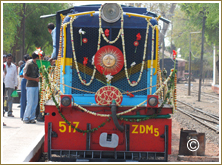 Dhaulpur became a separate district in 1982 comprising four tehsils of Bharatpur :Dholpur, Rajakhera, Bari and Baseri. It is bordered by Bharatpur district of Rajasthan and Uttar Pradesh to the north, Madhya Pradesh to the south, Karauli district to the west and Uttar Pradesh and Madhya Pradesh to the east. 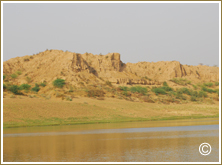 Dholpur, according to the Epics, was initially known as Dhawalgiri, later on Dhaulagir, and now as Dholpur. Before the battle of Mahabharat this whole area was under the Yadavs whose different branches were spread over the entire area extending from the south of the river Chambal. 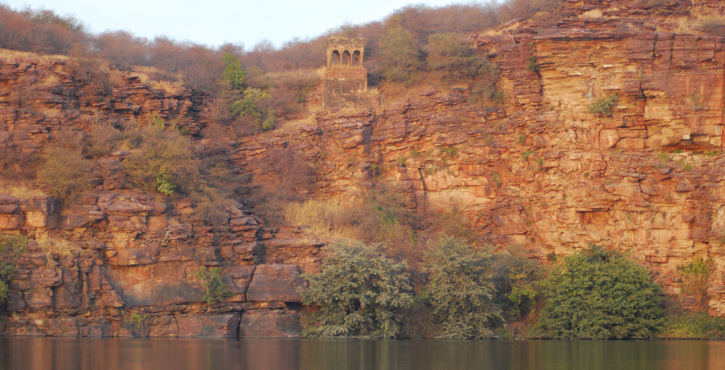 The key to the ancient history of Dholpur is the ruins of strength the fort which is on the bank of river Chambal. KingMuchukund sided with the devtas and was instrumental in their victory. Indra was so pleased was that he asked Muchukund to have a boon. Muchukund was so tired that he asked Indra to allow him to sleep peacefully and if anyone should wake him up, Muchukund’s angry gaze would burn him to ashes. Mahabharat reveals that during one of the battles with the demons Krishna came to the spot where Muchukund was sleeping. He put his pitamber on the sleeping Muchukund. The demon thinking him to be Krishna woke him up, and thus the demon was burnt to ashes, and thus the life of Krishna was saved. The event took place, in a spot very near to the MuchukundJi’s temple, where the ruins of old palaces still exist. Any invader, who wished to capture Gwalior and Malwa, had to pass through Dholpur. In the year 1489 Bahlol Lodi before fighting with Gwalior king, faced the forces of the ruler of Dholpur. During the year 1502 Sikandar Lodi had to fight with Dholpur King VinayakDev for about a year and then with great difficulty was successful in defeating him and capturing Dholpur. Thus Dholpur came into prominence and bore the brunt of all the invading forces of the North Realising the strategic and geographical importance. It was Sikandar Lodi who first thought of having a military cantonment at Agra which was a small village under Bayana and at Dholpur in the year 1504, so that he could successfully carry out military designs against Gwalior and Malwa region. 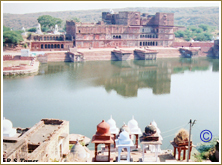 Dholpur being situated on the banks of the river Chambal was considered sate for the establishment of military cantonment and forts, during the medieval period. According to the “TawarikhShershahi” and “Babarnama” written by their courtiers, the credit for the construction of the Shergarh for goes to ShershahSuri. Nihal tower : Rana Ram Singh of Dholpur was the Jat ruler of the princely state Dholpur (1901–1911) in Rajasthan, India. He was from Bamrauliagotra of Jats. He was born on 26 May 1883 and succeeded RanaNihal Singh in 1901 after his death. RanaNihalsingh was not of age when ascended to the throne. He got full rights in March 1905. Nihal Singh constructed Nihal tower. His successor was RanaUdaybhanu Singh. Damoye : A waterfall in Sarmathura. It is the main tourist spot in whole district. It is visible in rainy season [July–September]. Besides this, Damoye has a long and green forest range with wild animals. 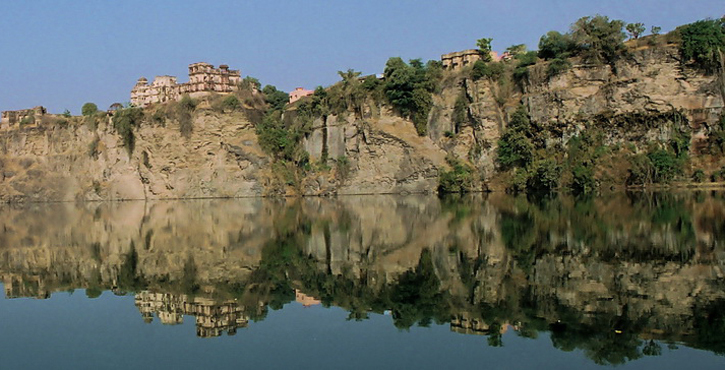 The Machkund Temple : Muchchhkund is about 4 km from the town of Dholpur. It is an ancient sacred place. It commands a picturesque view. The place is named after Raja Muchchhukand, the 24th of the Suryavanshi Dynasty (the solar race) who is said to have reigned nineteen generations before Lord Ram. According to legend, Raja Muchchhkund was sleeping here when demon KaalYaman (while pursuing lord Krishna) accidentally woke him up. The demon KaalYaman was burnt to ashes because of a divine blessing to Raja Muchchhkund. It is now a sacred place for pilgrims. 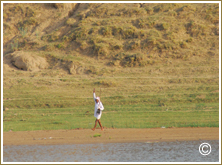 Talab-E-Shahi : 27 kilometres from Dholpur (and 5 kilometers from Bari) is a picturesque lake called TalabShahi. 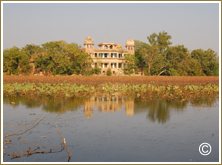 The lake and the palace were built in 1617 A.D. as a shooting lodge for Prince Shah Jahan. 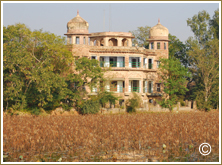 The palace and the lake were later maintained by the ruler of Dholpur. The lake attracts a large number of winter migratory fowl such as pintail, shoveller, red crested pochard, common pochard, tufted duck, garganey teal, wigeon and Gadwall. Shergarh Fort : It is an old fort of historic importance, located toward the south of Dholpur tower. This monument was built by Sher Shah Suri on the site of an earlier Hindu fortress. Dholpur Combined Cycle Power Station : Dholpur Combined Power Station is located in Dholpur City in eastier part of Rajasthan State and is situated above 7 km from District HeadQuarter on the bari Road near Chawani. Based on Gas This Project is Compatively safe in view of environment & water pollution. 70 Meter high stack has been provided to release fuel gases into the atmosphere so as to disperse the emitted matter over a wide spread area. This is the project of Rajasthan RajyaVidyutUtpadan Nigam Ltd. The Installed Capacity of three units of Dholpur Combined Power Station is 330MW. 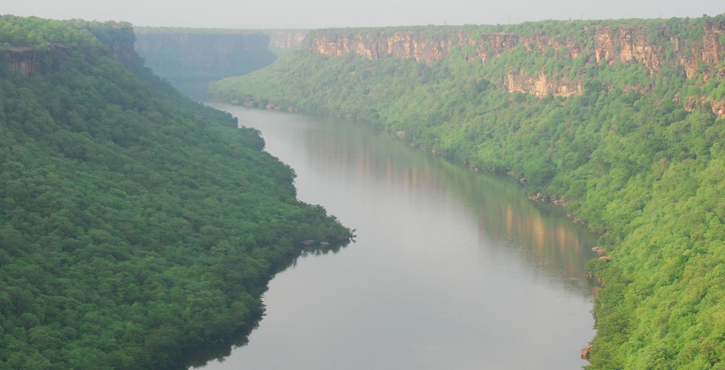 Ravines of Chambal : Technically, ravines are formed when the upper layer of vegetative cover is not strong enough and the roots of trees are unable to hold and bind the soil together. Constant rainfall erodes the soil and washes away the crust of the earth. Consequentially, the water flow turns into drains, creating cracks. In due course of time, these cracks are further eroded, and become large ravines. 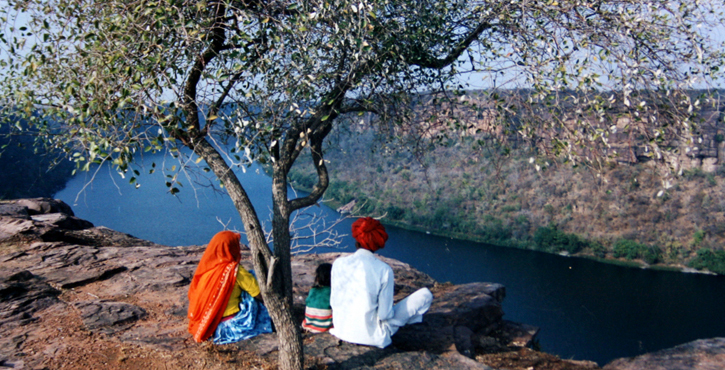 The Ravines of Chambal derives its name from Chambal River, has been a safe heavon for gangs of dacoits for a number of decades.The Chambal ravine or 'beehad' (Hindi-बीहड़) has harbored dacoits (bandits) for centuries. One of the famous dacoits were PAN SINGH TOMAR Phoolan Devi, LokmanDikshit, Man Singh &fakkad Baba who terrorised the entire Chambal valley. 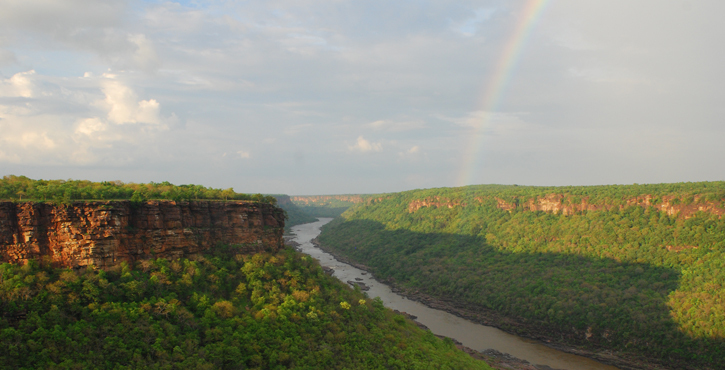 It is also known as the " VeerBhoomi Chambal ". 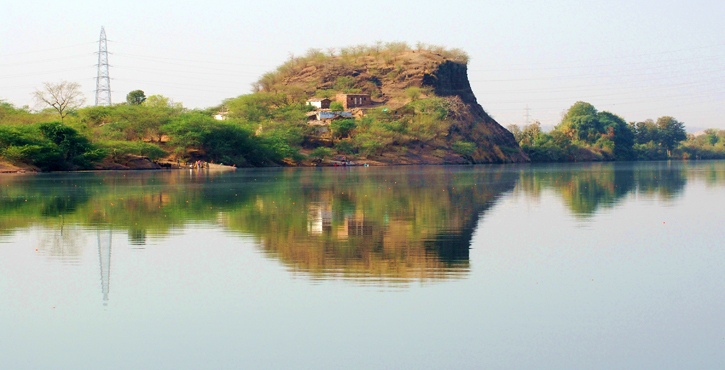 Ramsagar Sanctuary : Contains picturesque Ramsagar Lake, which supports rich aquatic life including fresh water crocodiles and a number of fishes and snakes. Water birds such as cormorants, white-breasted water hen, moor hen, jacanas, river tern, ringed plover, sand piper, and green and purple herons are quite common. During winter months migratory ducks and geese visit the lake in good numbers. 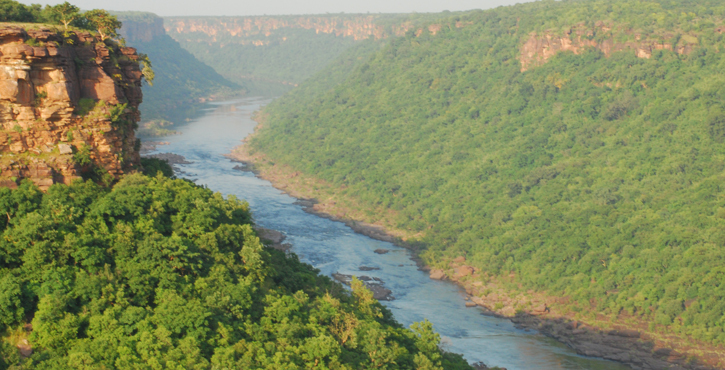 Van Vihar Wild Life Sanctuary : Van Vihar, an old wildlife reserve of the rulers of Dholpur is spread over an area of 59.86 km2 over Vindhyan Plateau. 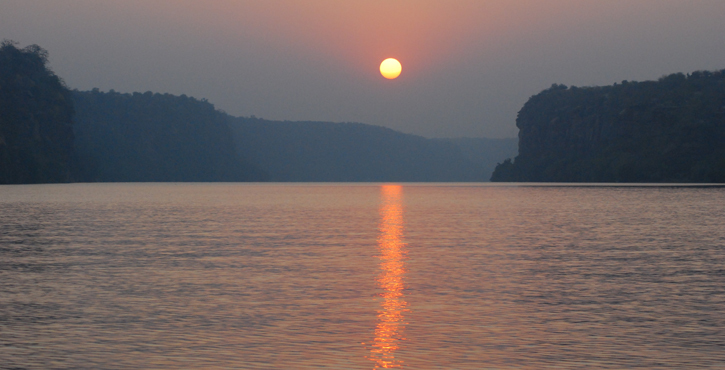 National Chambal (Gharial) Wildlife Sanctuary : The Chambal river remains one of north India’s most unpolluted rivers, home to a rich diversity of flora and fauna. 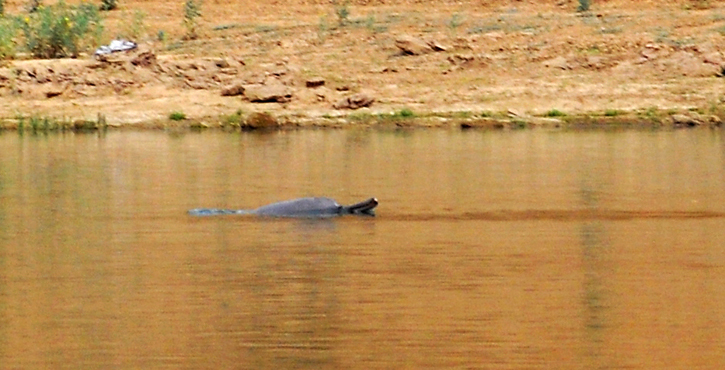 National Chambal (Gharial) Wildlife Sanctuary contains the rare Ganges river dolphin. 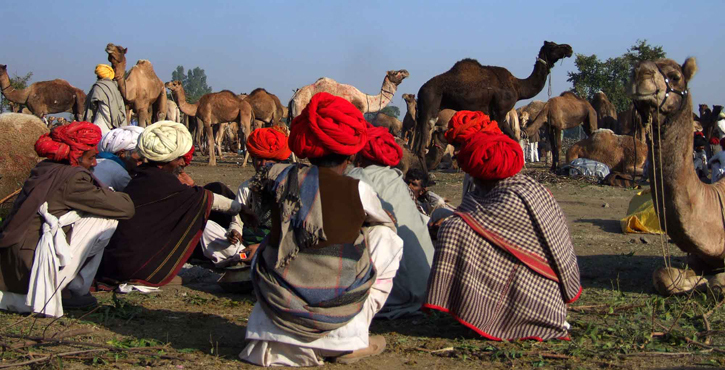 The sanctuary was founded in 1978 and is part of a large area co-administered by Rajasthan, Madhya Pradesh and Uttar Pradesh, within area of 5,400 km². Approximately 400 km of the river is within the reserve. 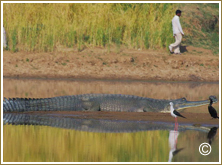 Apart from the Ganges river dolphin, the other inhabitants of the sanctuary include mugger crocodiles and gharial (Gavialisgangeticus). 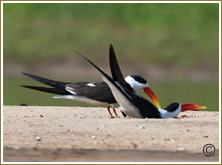 Migratory birds from Siberia form its rich avian fauna. Sant Nagar : Sant Nagar, Buddh temple is 2 km away from Bari. Sher Shikar Gurudwara : a Sikh pilgrimage site in Machkund, Dholpur, associated with the history of sixth Sikh Guru Hargobind Sahib ji. 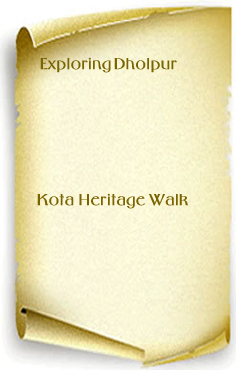 Guided tour of the city and nearby Historical places. 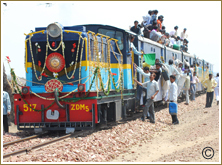 Narrow gauge heritage train ride. 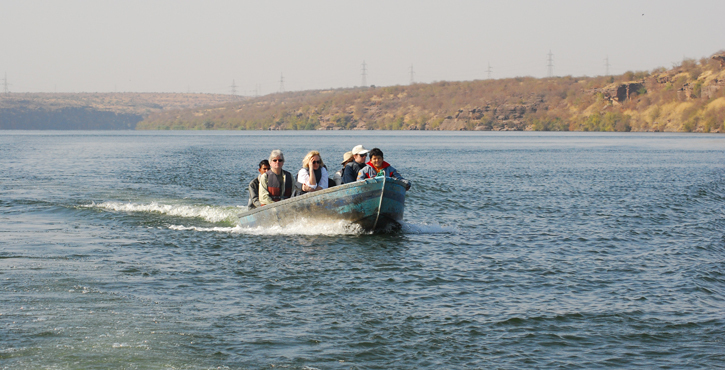 Tour to the Famous ‘’BIHADS’’ of the Chambal valley ,a former haunt of the Dacoits. 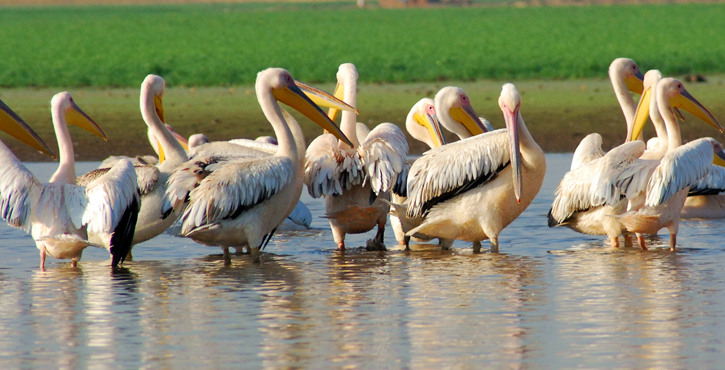 The stay in Dholpur can extend to a visit to the famous Bharatpur or the Keoladeo Ghana bird scantuary and d further to Kaurauli ,famous for its beautiful and imposing forts and the painting traditions to its History.